According to a recent news article from KPCC News, Los Angeles County has enacted legislation to ban the cultivation of medical marijuana within county limits. The ban is a temporary measure and requires that all growing of marijuana in the unincorporated areas of the county cease. It should be noted that this ban is not effective in the incorporated areas of the county, including the City of Los Angeles. Given the fact that California was the first state in the nation to legalize medical marijuana when the very bold initiative was taken back in 1996, the question is why would Los Angeles County not want medical marijuana being grown within its borders. First, it should be noted that it was never fully legal to cultivate medical marijuana in Los Angeles County. Rather, it was considered more of a gray area. Still, many did cultivate the drug within the state. However, a law recently passed and signed by Governor Jerry Brown requires county officials to enact specific bans on cultivation or dispensing of medical cannabis, and if they fail to act, these activities will become legal by operation of law. To prevent this from happening, the county superintendents decided to pass such legislation. It is not that the county does not want anyone to ever grow medical marijuana in Los Angeles, but they are not sure of the impact to the community, the local economy, and the environment if they allow the cultivation centers to exist. They also do not know how many cultivation centers they would allow and where they would be located. The county decided to enact a temporary ban to give them some time to study the issue and see what they would feel comfortable with on a long-term basis. As of now, the ban is in place for 45 days and will expire by itself unless it is extended. The law allows the period of banned cultivation to be extended from 45 days to two years if more time to study the issue is needed. However, it should also be noted that there is a decent chance that an upcoming ballot initiative to legalize marijuana for recreational purposes will be put to the voters in November, and there is a good chance that will pass. 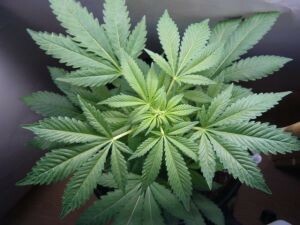 If that happens, it could change everything, and it may be possible to grow marijuana in many more places so long as EPA and the new state marijuana control agency signs off on water use and permits as they would with any other farming operation. Specifically, there are concerns over pesticide use, water flow, land grading, electricity usage and zoning requirements. Water usage is always a big issue in California because of the constant drought conditions combined with the fact that marijuana uses a lot of water when growing as compared to many other crops. Many also believe that it has more to do with who is elected as a supervisor and think the study is just a way to delay the process.